The owner of village caravan park has been fined thousands of pounds after failing to fix issues which left resident with terrible sewage smells and intermittent water supplies. Horsham District Council said Luckista Grove Caravan Park ‘failed to provide adequate living standards for residents’. It said people at the Ashington estate were living with intermittent electricity and water supplies along with awful smells from a sewage treatment plant. There were also issues with narrow roads on the site littered with potholes and undrained, causing floods of muddy water in wet conditions. The council said ten months after works to fix the problems should have been finished only four of the 12 breaches had been fixed. Royston Cooper, director of Frankham Real Estates which owns the site, was issued with a compliance notice in 2017. 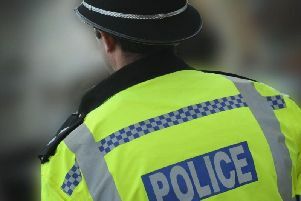 He and the company admitted the offence at Worthing Magistrates’ Court on Friday June 22 and were fined a total of £15,000 plus costs and a victim surcharge, the council said. Cabinet Member for Community and Wellbeing, Tricia Youtan, said: “I was dismayed and disappointed to hear of these breaches. The council will not accept poor standards on caravan sites; they are the homes of residents and need to meet the established standards to ensure that they provide a pleasant and safe living environment. “We gave the owners advice and guidance for over a year before the continuing poor standards led to the decision to take legal action.